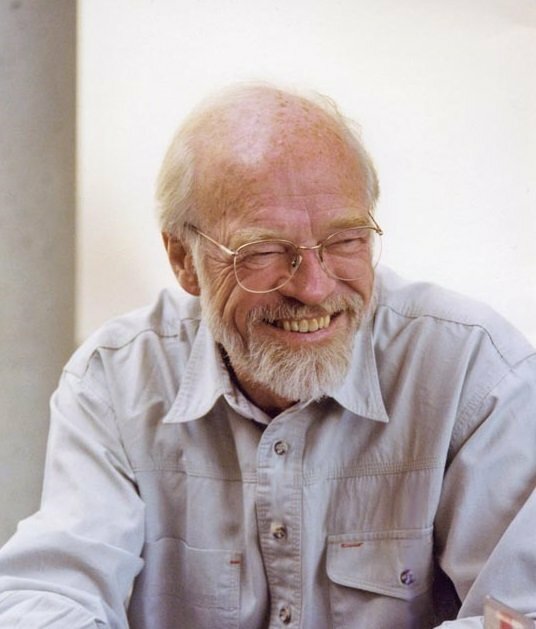 I only met Eugene Peterson once. In 2014, a friend and I published a collection of essays by a number of pastors and scholars engaging Peterson’s vision of the pastoral life. 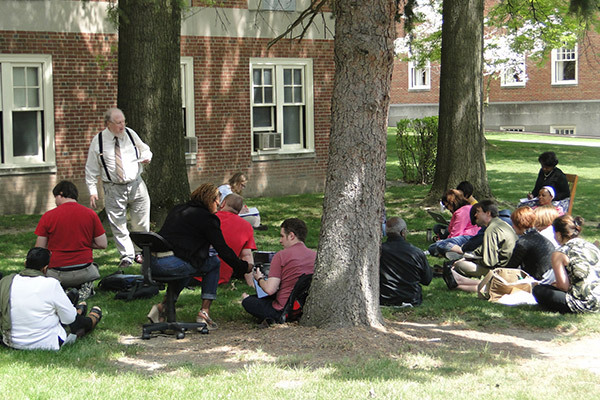 In the fall of that year, Western Theological Seminary hosted a conference based on the book, and they invited Peterson. To my surprise Peterson—in his early 80s and largely retired from public appearances—agreed to attend. The conference fell on his 82nd birthday. At dinner on his birthday, I sat at his table. I remember our deference to his age and wisdom. I remember listening to his stories. I remember how he made us laugh. I remember how he smiled as we sang Happy Birthday. But by that point in my life, Peterson had already made his mark on me. Having dinner with him was just the icing on the cake. Years earlier I’d been struggling as a pastor to turn a church around. I was convinced that the power of my leadership, the profundity of my preaching, and my winsome and gregarious personality, not to mention my humility, were enough to right a listing ship. I tried hard to be the visionary leader my bishop convinced me I should be. And I experienced modest success—which made everything worse. I was tired, and I had a gnawing sense that this was not how ministry should be. That’s when I discovered Peterson, or at least when I woke up and listened to what he had to say. In some of his books Peterson comes across as angry, berating his pastoral colleagues for abandoning their proper work, for defecting. He believed pastors in America had stopped being pastors and had started being CEOs and managers. They’d started “running churches” rather than pastoring them. They had begun using language to convince, persuade, and cajole rather than proclaim, pray, and heal. They’d forgotten that the church belongs to God, and started believing it was their job to fix it. When I read that I knew—that’s how I was trying to pastor. Again and again in his books, Peterson used the phrase “proper work” as shorthand for an alternative—for what he believed constituted the heart of the pastoral vocation. And his alternative was salutary. Let’s imagine that God is at work in our congregations, he suggested. Let’s imagine that the initiative doesn’t belong to us, but to God. Let’s imagine our job is to discern what God is doing and step into the stream of God’s gracious work. Peterson invited pastors to walk what he believed was becoming a road less traveled. 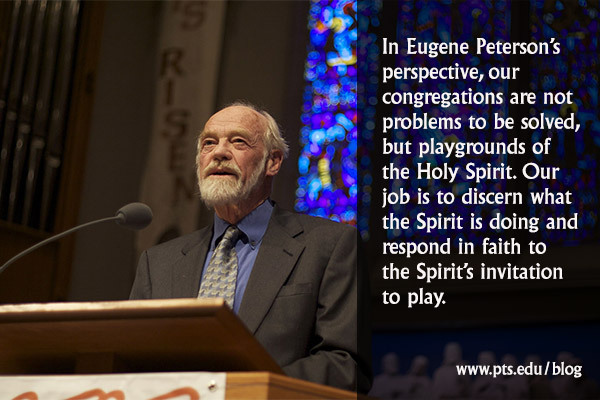 In his perspective, our congregations are not problems to be solved, but playgrounds of the Holy Spirit. Our job is to discern what the Spirit is doing and respond in faith to the Spirit’s invitation to play. I’ve already forgotten aspects of that conference in 2014. I don’t remember the story Peterson told to make us laugh. I don’t even remember what I said in the paper I gave at the conference, or Peterson’s response. But I will never forget how his vision of ministry reframed mine. How he invited me to stop thinking I was the only one doing the work. How he reminded me that there was Another in our midst working as well, and that my job as a pastor was to help a congregation discern how to get in on what that One was doing. How he called me back to my proper work. The Rev. 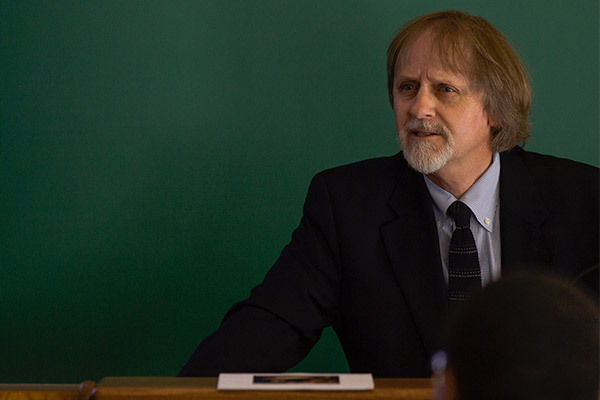 Dr. L. Roger Owens is associate professor of Christian spirituality and ministry at Pittsburgh Theological Seminary and teaches courses in the MDiv, Doctor of Ministry, and Continuing Education programs. Before coming to PTS he served urban and rural churches for eight years in North Carolina as co-pastor with his wife, Ginger. He has written multiple books including The Shape of Participation: A Theology of Church Practices which was called “this decades best work in ecclesiology” by The Christian Century. His latest work is Threshold of Discovery: A Field Guide to Spirituality in Midlife (Church Publishing Inc., 2019).